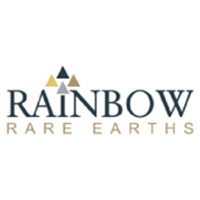 Rainbow Rare Earths (LON: RBW) CEO Martin Eales talks to DirectorsTalk about its operational update for the 3 months to the 31 Dec 2018. Martin updates us on how the company performed over the quarter, explains how it plans to increase production, when we can see results, financing arrangements, more fleet and any environmental issues. Rainbow Rare Earths’s focus is the Gakara Project in Burundi, one of the highest-grade (47%-67% Total Rare Earth Oxide) rare earths projects globally and the only African producer. The Company began production of rare earth concentrates in Q4 2017 and has a ten-year distribution and offtake agreement with multinational thyssenkrupp Materials Trading secured for the sale of at least 5,000tpa of concentrate produced. The Gakara basket is weighted heavily towards the magnet rare earths, including neodymium and praseodymium, which are driving demand and account for 70% of annual global REE sales due to their use in vital components in motors, generators, wind turbines, and electric vehicles. Click RBW for the full archive.